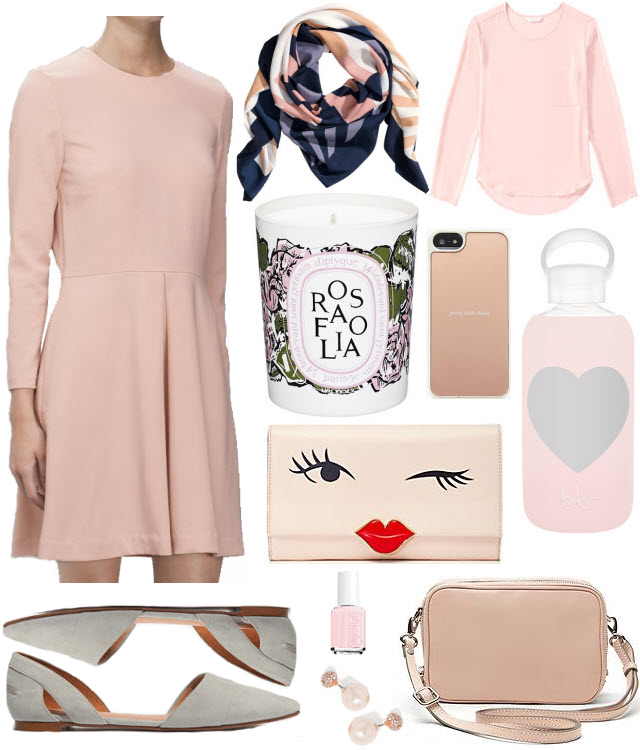 As of late, I have been seriously crushing on blush tones! It’s partly driven by a certain pink themed holiday coming up, Valentine’s Day, but also by how this color works so well as a neutral. As much as I try to add color to my wardrobe, it is mostly made up of cream, black, camel and gray, and now I need to add some blush. This scarf will be the perfect extra layer for Spring. How cute is this water bottle?!? It will definitely help me stay hydrated. And, you can’t miss this pretty blush cross body. I love blush! Like you said it's a great neutral and I like to pair it with leopard.